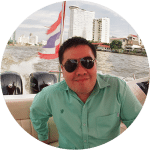 Home/Bangkok/Shopping/Big C Supercenter Rajdamri – 10 Must Buy Food! 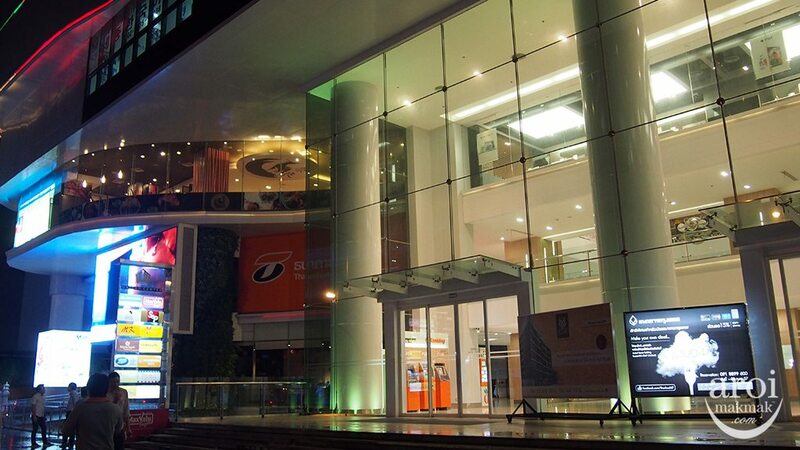 Big C Supercenter is the largest hypermart in Thailand. 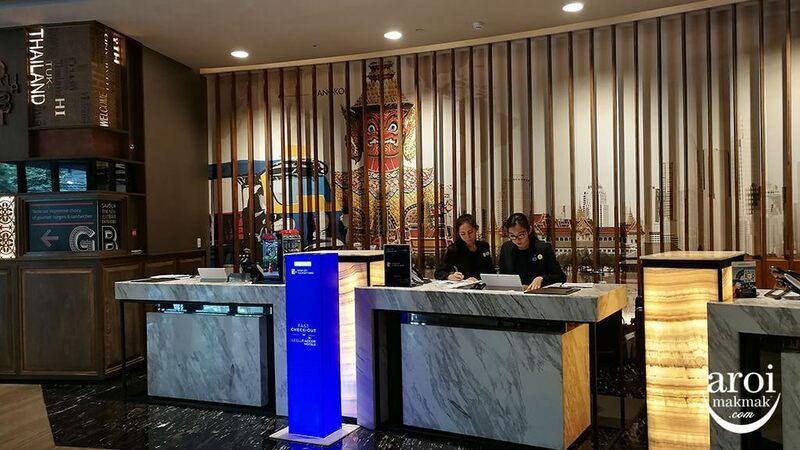 The most convenient outlet in the city, especially for Singaporeans and Malaysians is Rajdamri outlet, located directly opposite Central World. 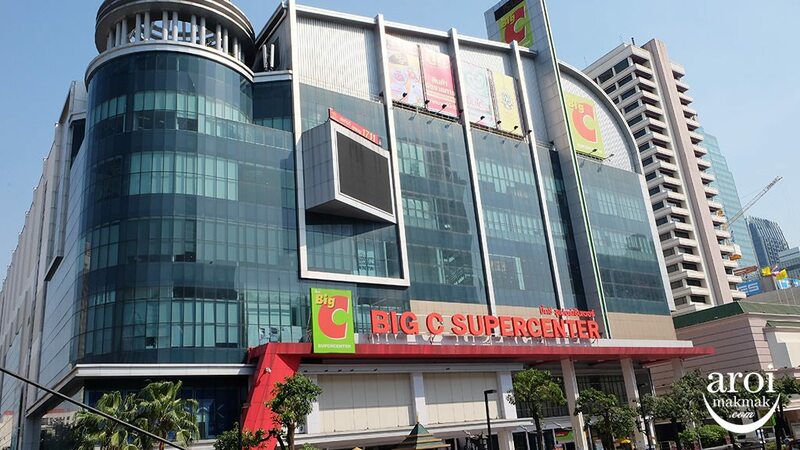 You can get pretty much everything (Fresh Food, Dry Food, Toiletries, Clothing, Accessories, Electrical Appliances, Home Decor, etc) at Big C.
Patrons here usually buy snacks and tidbits back home and they usually have discounts. 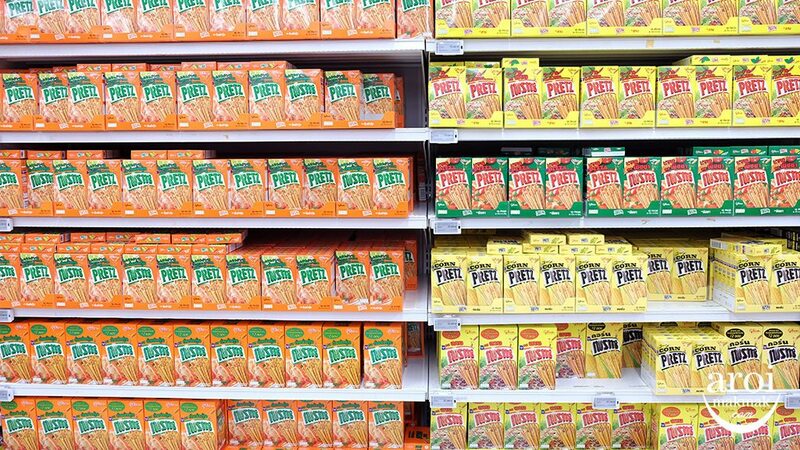 Another reason why many prefer to shop here is because it’s easier to buy in bulk since they have ready boxes on the shelf. 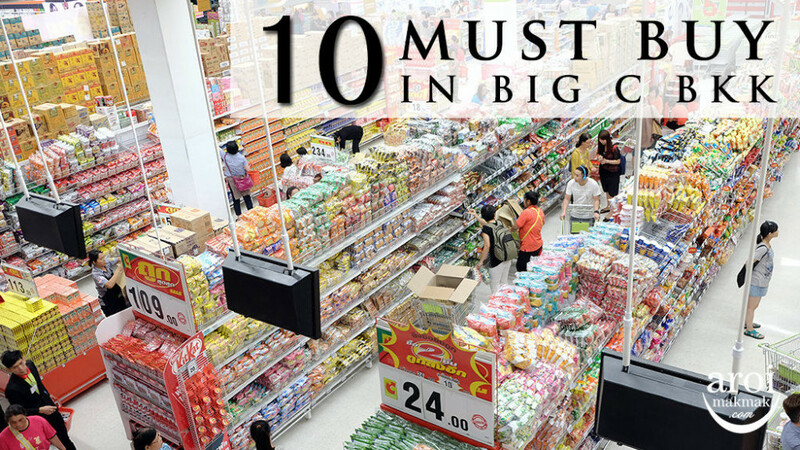 So here are the popular items which I think you should check it out when shopping at Big C. Presenting to you – 10 Must Buy in Big C Bangkok! 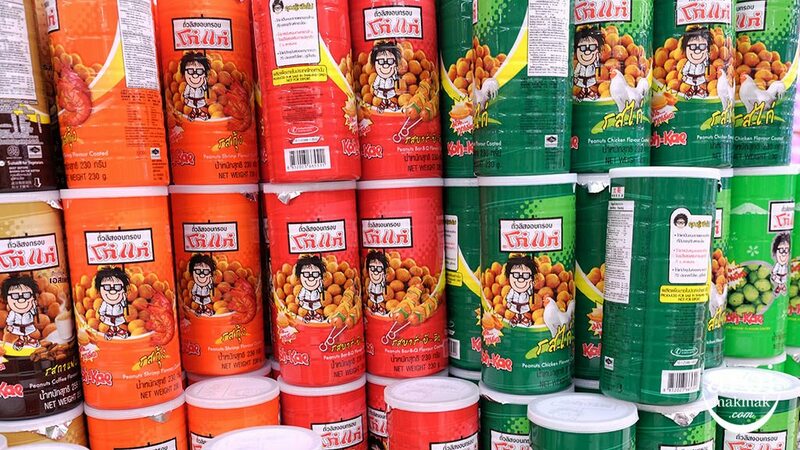 Koh Kae is Thailand’s favourite peanut snack. Peanut are coated in coconut cream-based crisp making it a snack that can be enjoyed anytime. 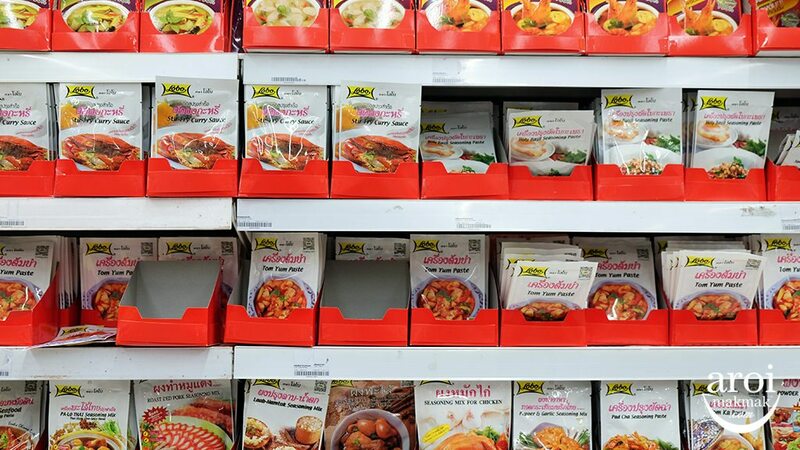 It comes in various flavour such as Tom Yum, BBQ, Wasabi, Shrimp and Chicken. The Pretz / Pocky snack you get from Bangkok is made in Thailand and hence, it is much cheaper to get it in Thailand. 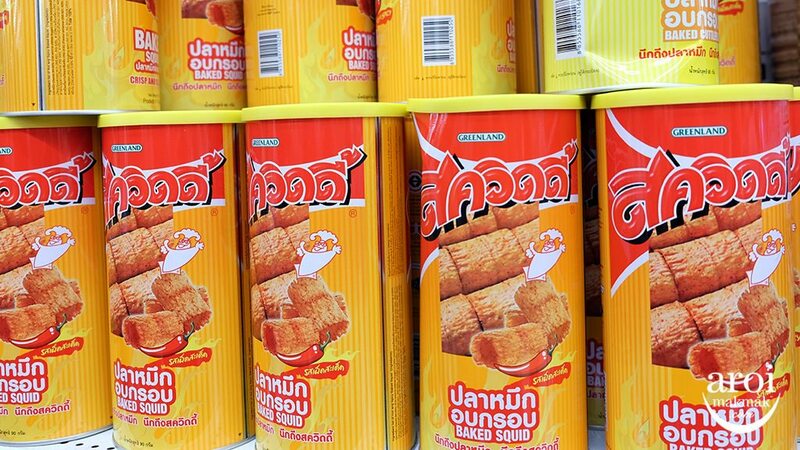 Popular flavours for Pretz include Tom Yam and Larb. The latest flavour for Pocky will be Cookies & Cream and Coco Banana. This Bento Cuttlefish snack is extremely spicy. If you don’t take spicy, you can skip this snack. Despite the spiciness, it’s actually very addictive. 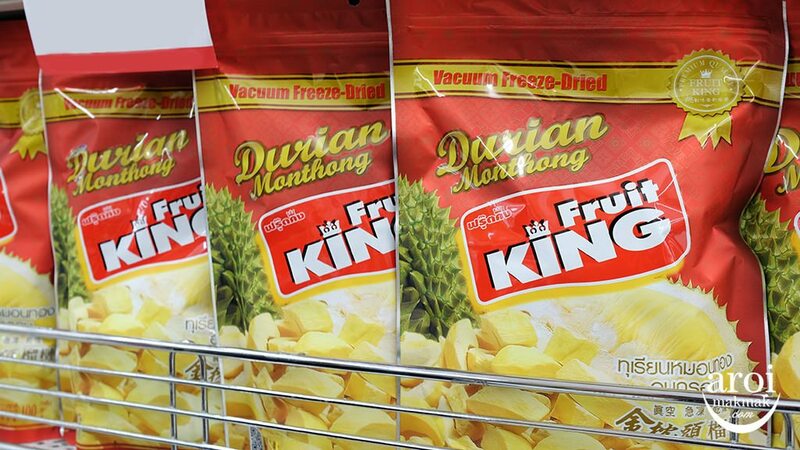 If you love Durian, you got to try these Freeze Dried Durian! It retains the original shape of the fruit itself with it’s cube of flesh. It’s different from the popular Durian Chips sold in Thailand. Personally, I prefer this version. 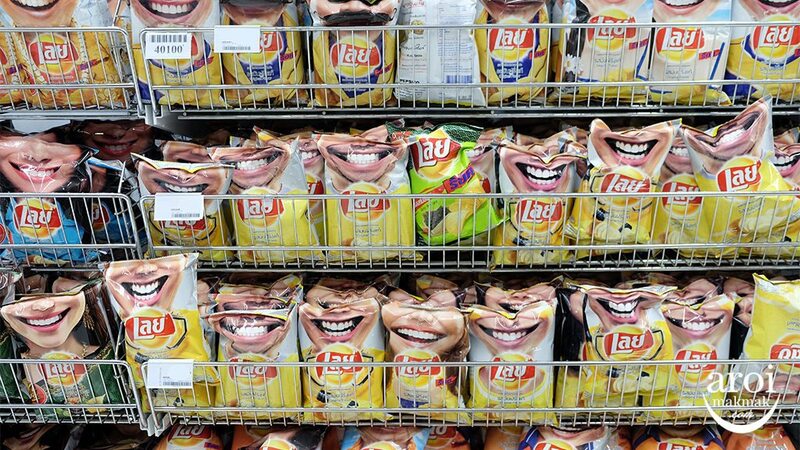 Lays Potato Chips with their recent marketing campaign with a smile on their packaging. 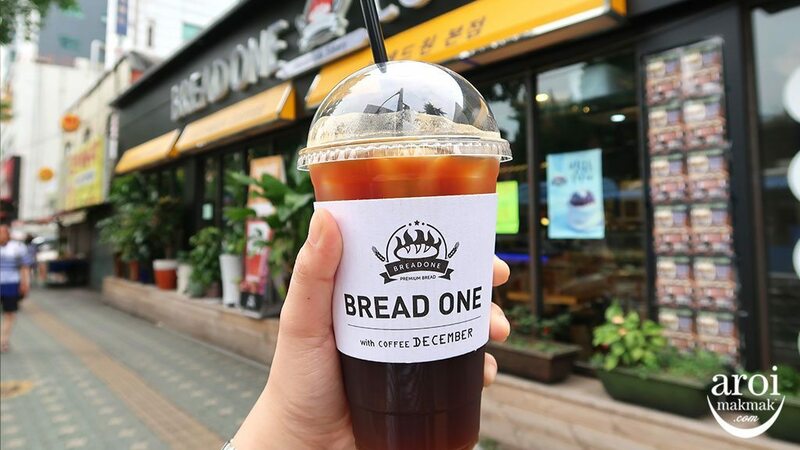 Many people can be seen taking photo with the packaging. 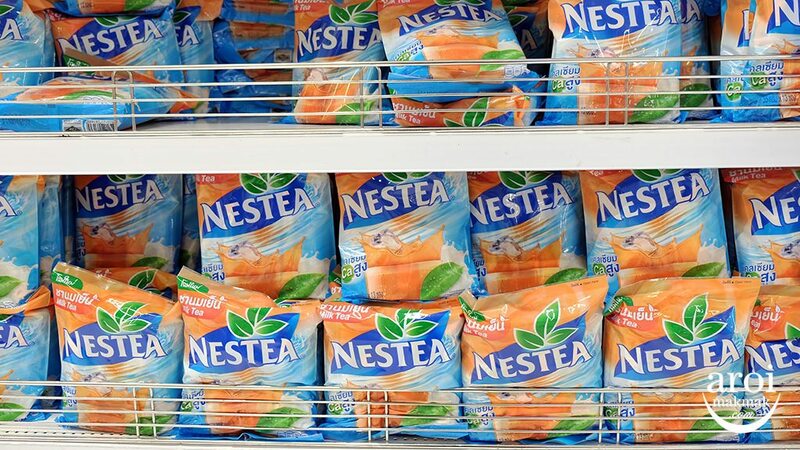 Aside from the packaging, there are actually many unique flavours which can’t be found outside Thailand. 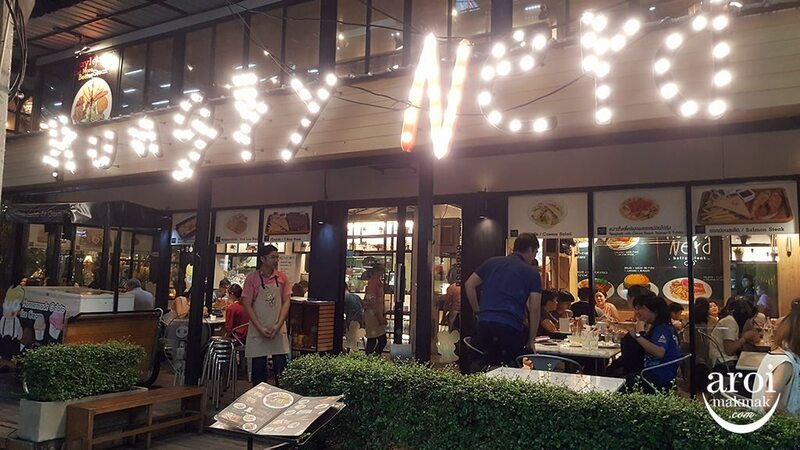 Try the hot squid version if you have the chance! 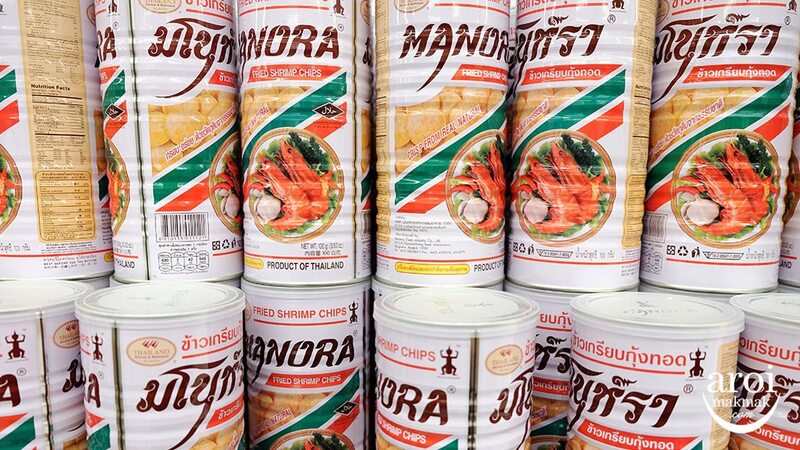 After eating Shrimp Chips, I no longer take the normal keropok because Thai shrimp chips are so much more delicious! If you like the crispy version of squid / cuttle fish, this is it! 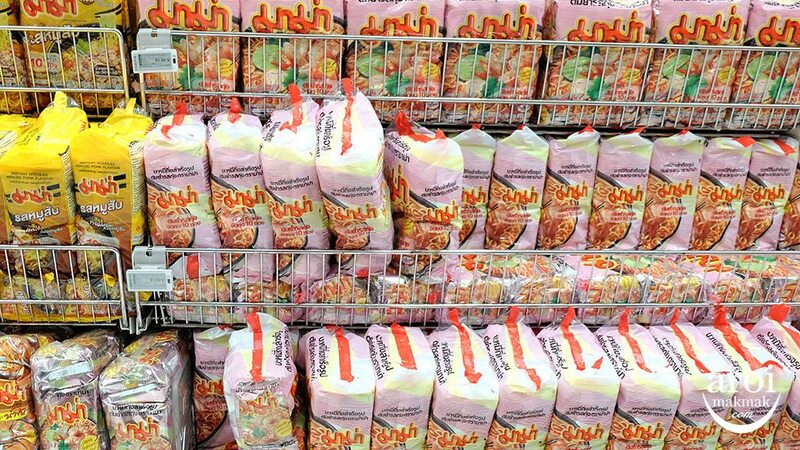 The most popular instant noodle around Thailand, MaMa Tom Yum Noodle! It’s so popular that everybody wants to bring it home! They have it nicely sealed in boxes for you to take home anytime! Cha Yen! 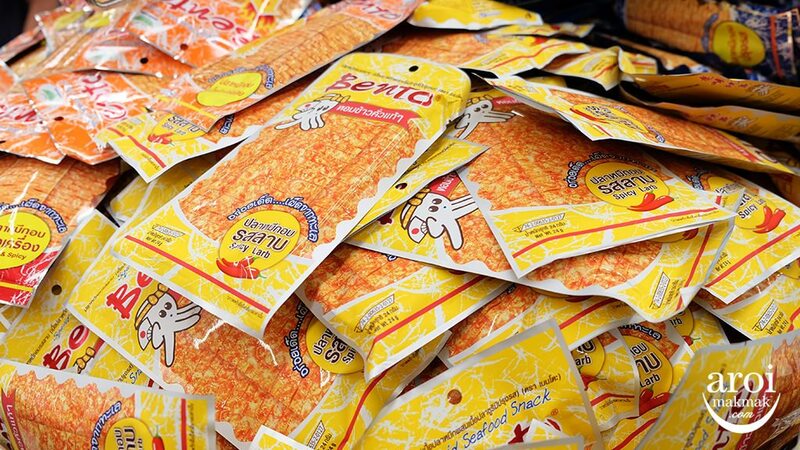 Love Cha Yen but don’t have the time to make it on your own, get this 3-in-1 sachet. It’s easy to make and taste similar to what you get on the streets! If you cook, this might interest you. Tom Yam and Green Curry paste! 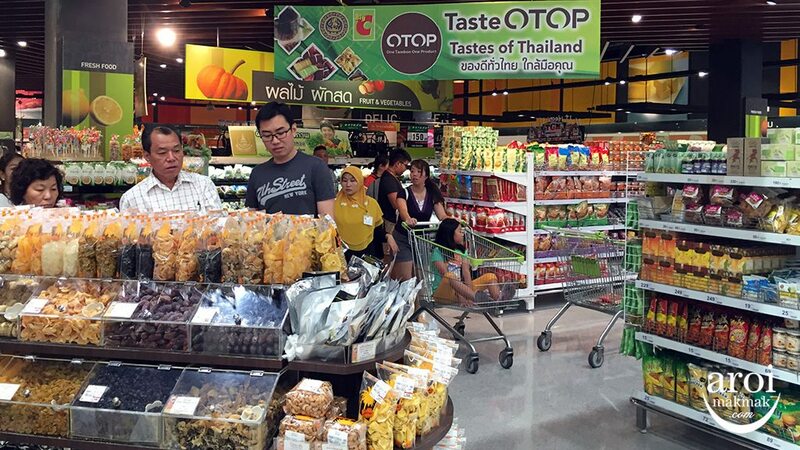 If all that is insufficient for you, at the fruits section, there is OTOP where they have different Thai snacks. 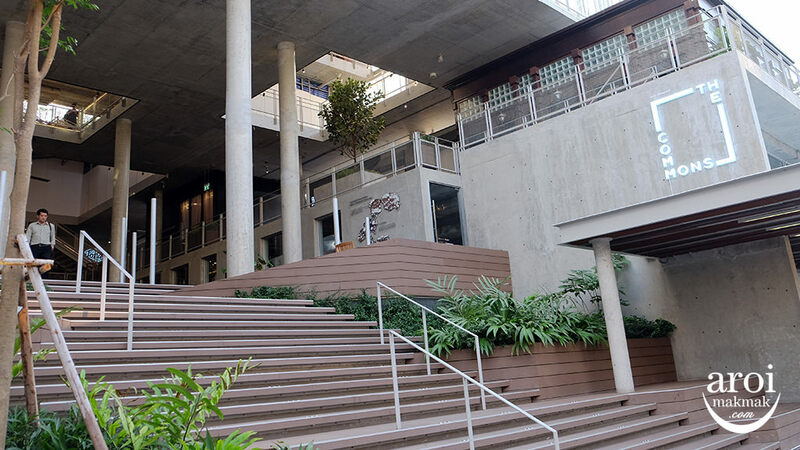 You can do all your purchases here if you wish.